Being still and letting life happen can be very challenging, and sometimes near impossible. How many of us could just “let life happen” without worrying, pondering, obsessing or overthinking…? Silencing our thoughts and emotions and just be still? This painting is called Radiance for its graceful tides of tranquility. 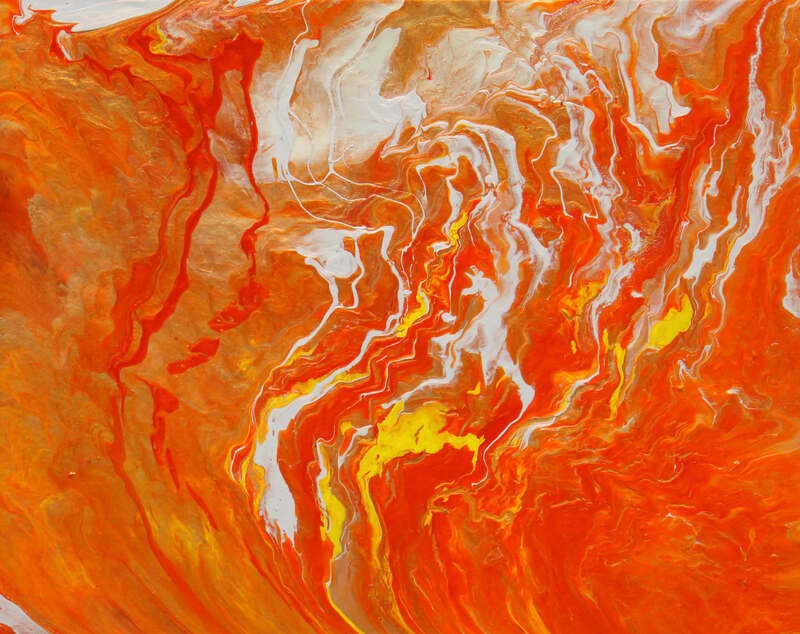 The burnt-orange and yellow represent warmth and rejuvenation. Setting a purposeful appointment to be still and “let life happen” is just what our soul desires. Take a deep breath, find a quiet place and let your soul’s radiance be revived.